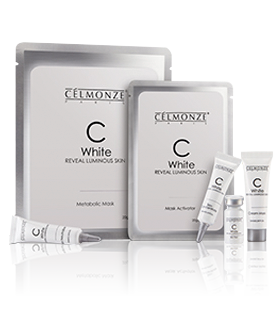 Designed to counter hyper pigmentation and unwanted blemishes, Celmonze C White treatment presents the safe, gentle and natural way to achieving luminous and revitalize skin. Using only naturally occurring alpha hydroxyl acids derived from soybean, bitter almond, bark of willow tree and milk, these nourishing and intensely stimulating ingredients will restore the skin luminosity and eradicate the effects of sun damage and acne scars. The anti-inflammatory properties of polyphenols found in tea are the primary emphasis of this treatment, producing a calming and soothing effect coupled with anti-aging properties suited to clients with adult acne. The troubles of oily skin can result in congested pores and acne. The clarifying properties of this treatment remove the impurities trapped in the skin’s pores for clearer, healthier skin. The key ingredient collagen, is much sought after for its regenerative effects on the skin and for delaying the signs of aging by boosting hydration and plumping up areas prone to wrinkles as well as promote skin regeneration for a more radiant complexion. 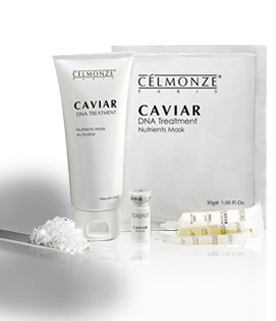 The addition of a premium, nutrient-rich ingredient such as caviar promote hydration and elasticity of the skin’s texture for smoother, firmer skin and address the key signs of aging such as wrinkles and dehydrated, sagging skin. Due to the constant exposure to external environmental aggressors, the skin is damaged, dehydrated and lose its suppleness. 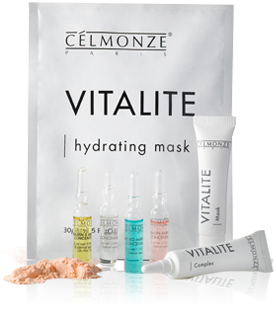 This treatment helps to renew, repair and restore the skin, infusing vital nutrients deep into the skin. The soothing properties of the ingredients help to address the problems of irritation faced by many with sensitive skin. 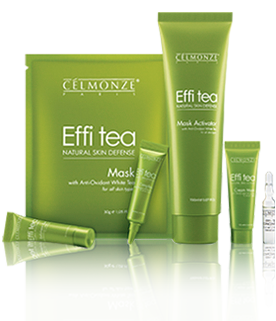 This treatment is suited to sensitive skin and promotes overall hydration. Continued consistent treatment will yield long-term brightening results in the skin and promote radiance for a healthy glow and fairer, more even skin tone. 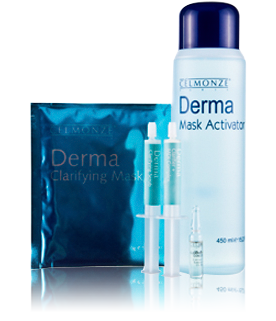 This treatment takes a holistic approach in addressing numerous common skin concerns in one treatment. Its oil-controlling properties regulate the secretion of oil in the skin and reduce pore size, as well as boasts anti-aging properties such as restoring elasticity and promoting a fairer complexion to address common issues faced by mature skin. The O2 oxygen treatment produces an anti-bacterial effect for a thorough cleansing of impurities that can accumulate both on and under the surface of your skin over time. Instantly, the skin will feel very refreshed, clean and light after the treatment.